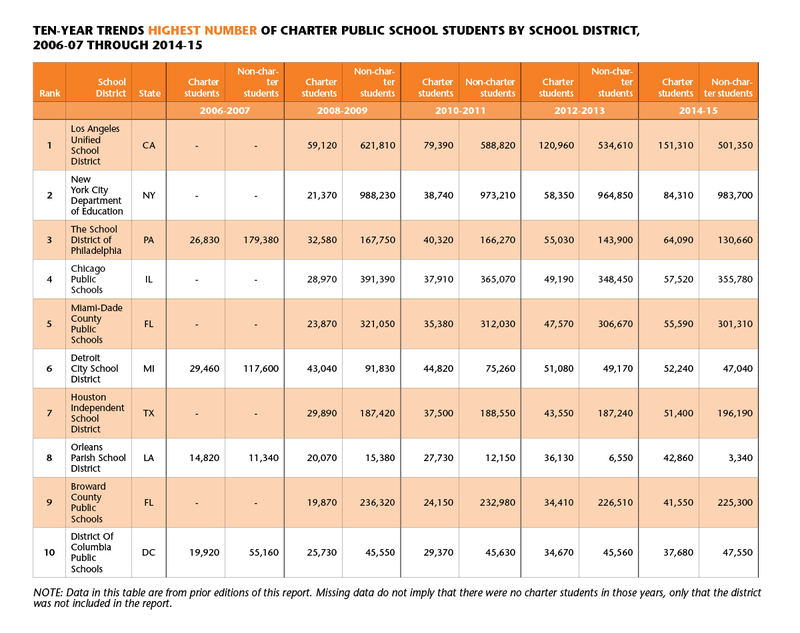 Charter school growth: What changed in the last 10 years? This week, we released the 10th annual student enrollment share report, A Growing Movement: America’s Largest Charter School Communities, which identifies communities with the highest enrollment share and largest number of students attending charter public schools. When this report was first released in 2006, the national student enrollment in charter schools was one million; that number has since tripled. Many factors have contributed to the growth in enrollment, including strong charter school laws that foster innovation and provide autonomy while demanding accountability standards. Due to a successful track record of meeting students’ specific needs, parental demand for charter public schools is at an all-time high. In this year’s report, the top ten districts in terms of enrollment share had at least 30 percent of students enrolled in charter public schools in 2014-15. When this report was first published ten years ago, only one district—New Orleans, Louisiana—met this 30 percent benchmark and just six public school districts had at least 20 percent of their students enrolled in charter schools. In 2014-15, there were 14 districts with at least 30 percent of their students attending charters and 45 school districts with a 20 percent enrollment share or more. And, in more than 160 school districts, at least ten percent of public school students attended charter public schools in the past school year. 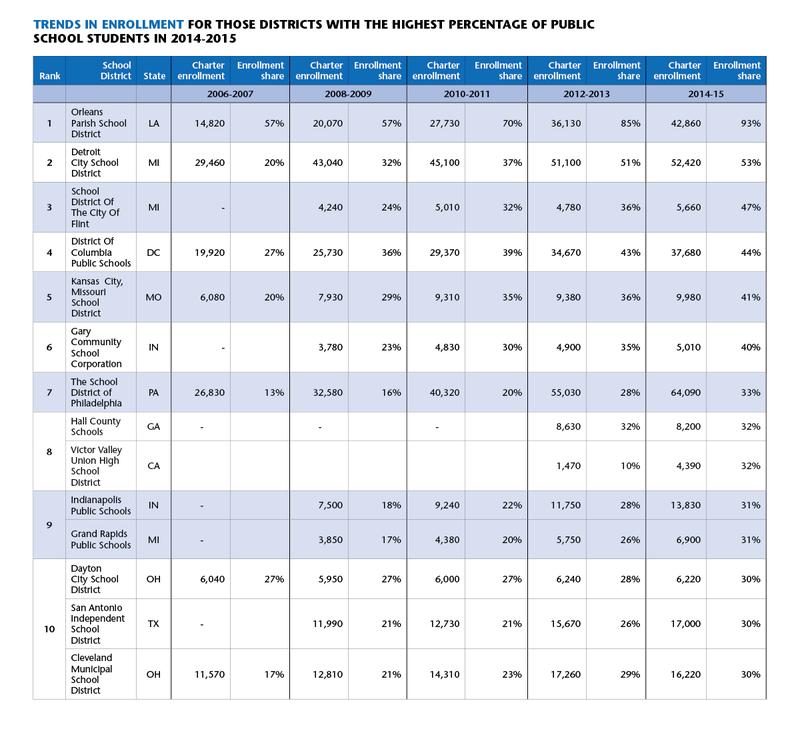 The tables below show the ten year trends for the top ten districts on this year’s report for highest enrollment share and largest number of students served. Please check out the full A Growing Movement: America’s Largest Charter School Communities report to learn more about the growth of charter schools in communities throughout the country.